Widget provides weather info for numerous locations worldwide. Is there a better alternative to Wetter? 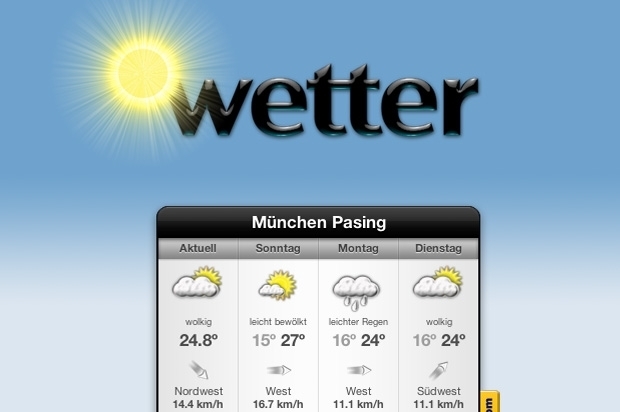 Is Wetter really the best app in Applications category? Will Wetter work good on macOS 10.13.4? Wetter is a dashboard widget providing extensive weather information for numerous locations around the globe. 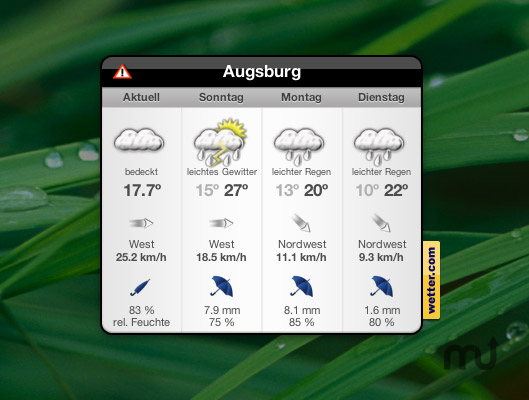 The content is gathered from German weather service wetter.com. Wetter needs a rating. Be the first to rate this app and get the discussion started!